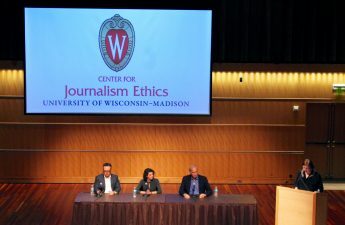 As the press continues to face challenges under President Donald Trump’s administration, some of Wisconsin’s leading journalists shared their experiences with and the importance of state and political reporting. Mark Pitsch, a current assistant city editor and former state capitol reporter for the Wisconsin State Journal. Dee Hall, an investigative reporter with more than 35 years of reporting experience who co-founded the Wisconsin Center for Investigative Journalism. Cara Lombardo, a legislative relief reporter for the Associate Press. Jessie Opoien, a state government and politics reporter at The Capital Times. Panelists began by dissecting the differences between political and government reporting. Hall said government reporting tends to come down to policy issues, which examine how government affects people. “Your job as a reporter is to go in there and take what the state is doing, what the Legislature is doing and try to help people understand what it really means, how it affects you,” Hall said. 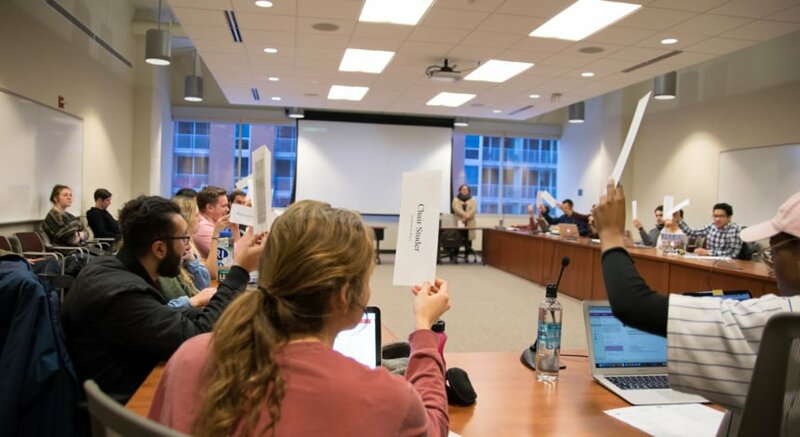 On the other hand, Pitsch described political reporting as an umbrella that covers “horse race” elements like campaigning, but also address larger political elements like the electoral college and candidates’ backgrounds. In Opoien’s experience, she said in-state house and campaign coverage goes hand-in-hand, with policy informing campaign speeches and campaign promises contributing to what legislation comes about. The speakers also outlined some of the essential qualities in strong journalists today, especially the drive to become a “mini expert” on different issues every day. Lombardo described how reporters must be striving to write in an interesting and concise way, both personally and in the world of journalism. 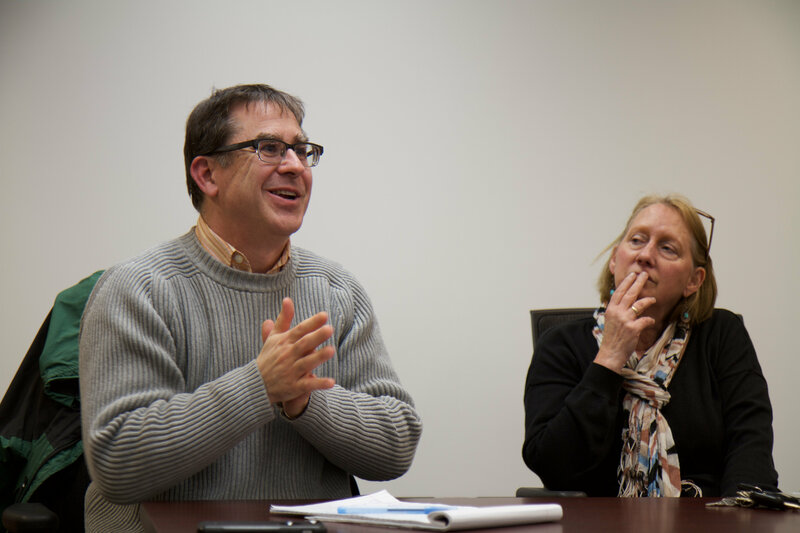 Following the Tuesday municipal elections, the panelists delved into what it’s like to cover election nights. 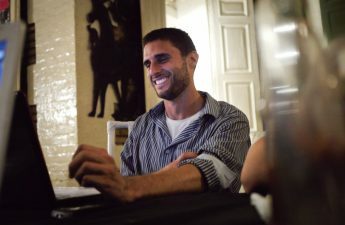 As they sit and anxiously await data from the polls, each reporter said they use their own methods to gauge who may win and how to allocate word counts. Since the November election, journalists have faced some challenges. Recently, reporters began facing more and more limited access to campaign events and watch parties, Hall said. “Sometimes you have to fight for your right to get in there and talk to people,” Pitsch added. These events, however, aren’t the only sources for information. Opoien highlighted the importance of listening to voters’ concerns. Watching citizens react to Gov. Scott Walker’s statements for the first time along the campaign trail was interesting after she had heard his platform repeatedly for years. One key in political reporting today is to not solely rely on polls and voting patterns for stories, but rather to use them to inform deeper stories, Pitsch said. When asked what their advice to future journalists would be, they responded with the industry’s most handed-down joke: Don’t go into journalism.